I’ve made no secret of the fact that despite my love for the 2stroke engine, I think EV is the way forward. 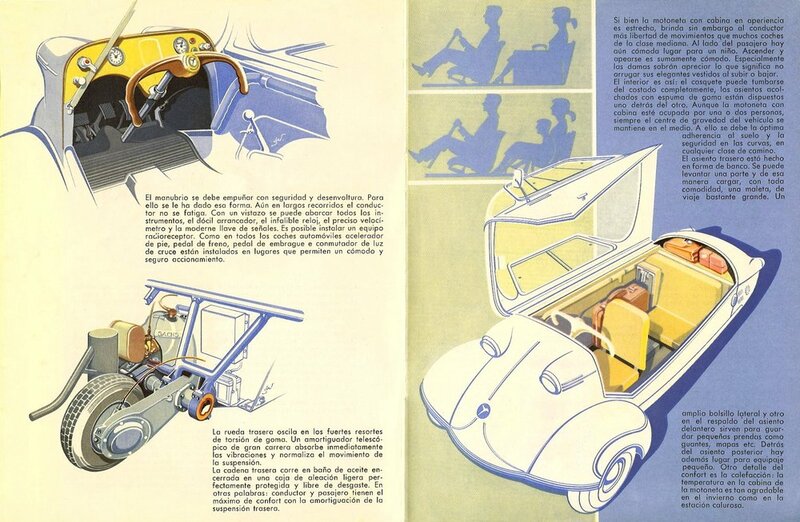 And I like a threewheeler – especially the microcars from the fifties that were basically three wheeled scooters – or “Cabin Scooters” as the Germans put it! 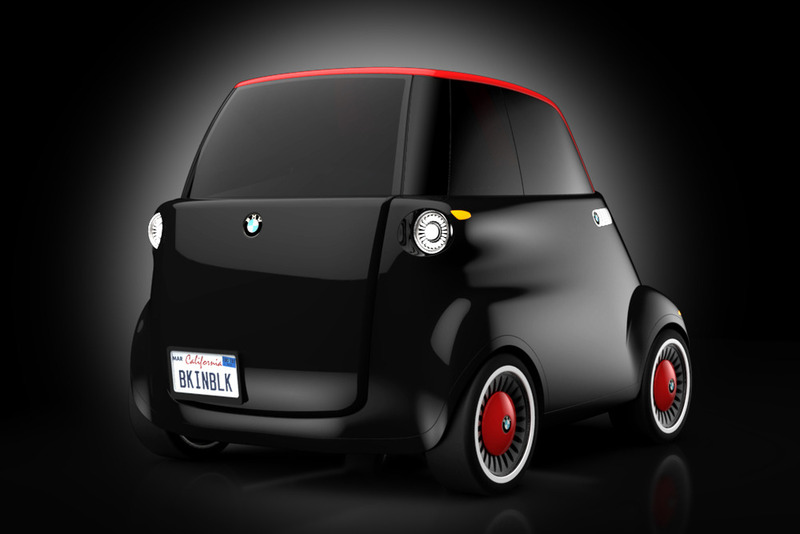 The Nobe 100 electric trike has that ’50 retro microcar vibe, but also feels futuristic. 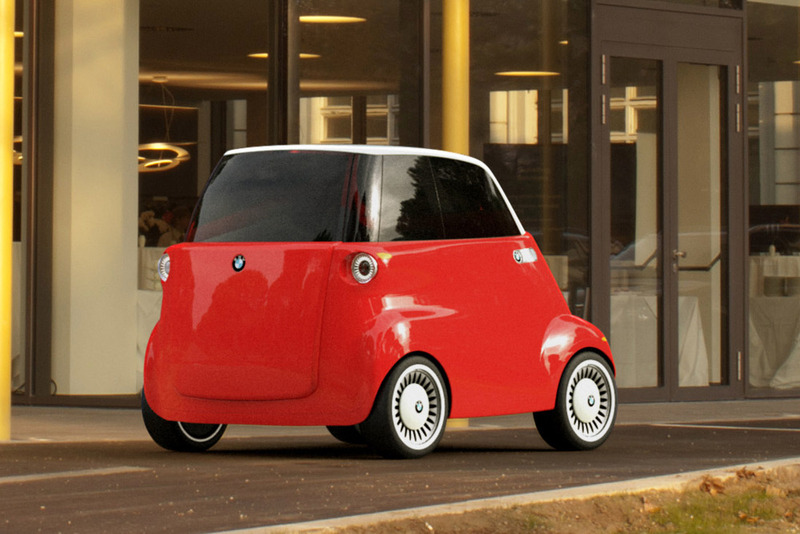 With an aesthetic that’s definitely classic and an outlook that’s modern, eco-friendly, and downright clever, the Nobe 100 is made from 100% reusable or recyclable parts, produces no air pollution, houses upgradable technology to enhance vehicle longevity, and accommodates three people while taking up less road space than a regular car. The mind behind the Nobe 100 is Roman Muljar. 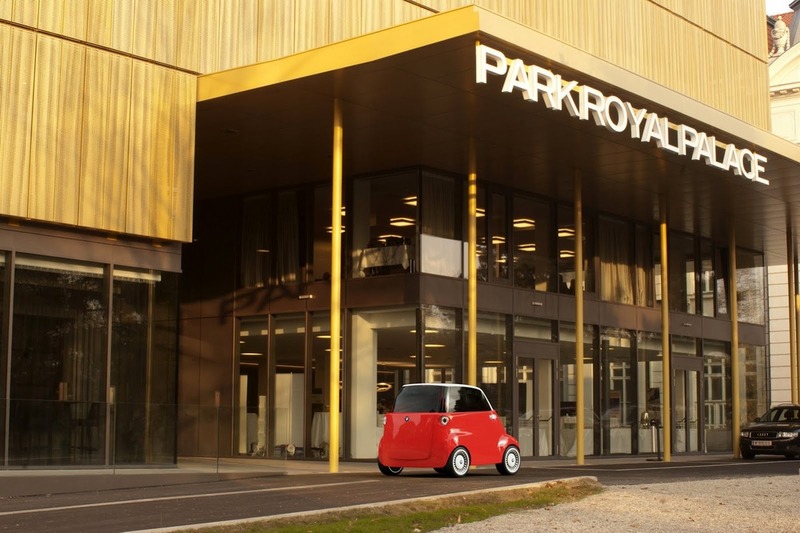 Roman looked toward the talent within his country of Estonia to create a three-wheeled car with all the makings of a classic 4-wheeler, but the visual quirks and benefits of a trike. 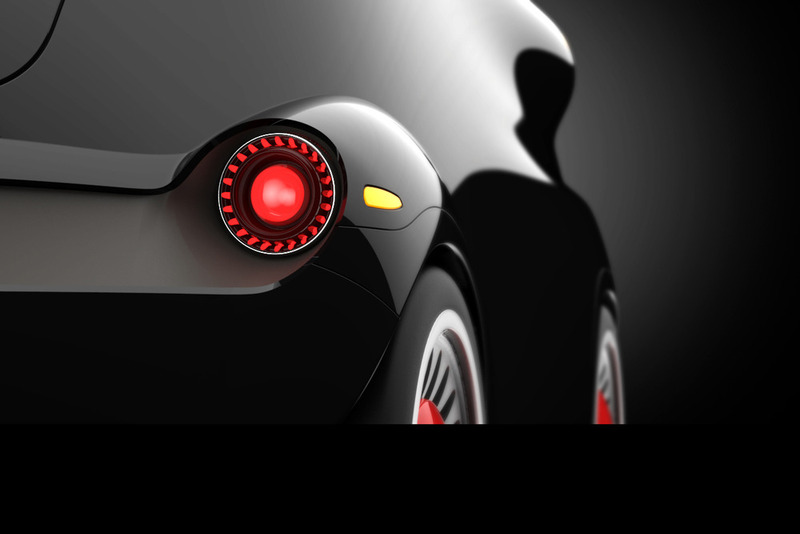 With a top speed of 68 mph and a range of 137 miles on a full charge, the Nobe 100 charges completely within two hours and even comes with an additional battery. I find the design of the Nobe remarkably assured and elegant – and kind of Italian looking – it puts me in mind of 1960’s Lancias – or maybe the Volvo P1800 – and love that ‘boat’ tail! 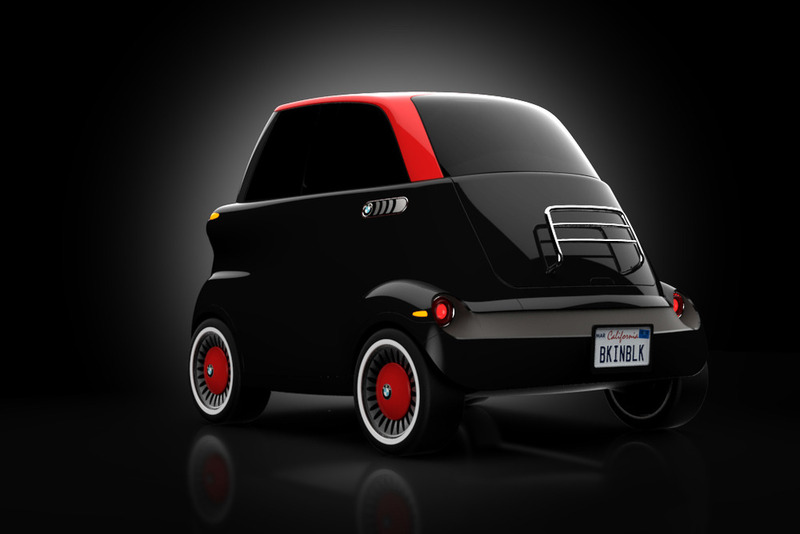 I hope this comes to fruitition – I was disapointed that the Messerchmitt inspired Smite never made it into production. Fingers crossed! 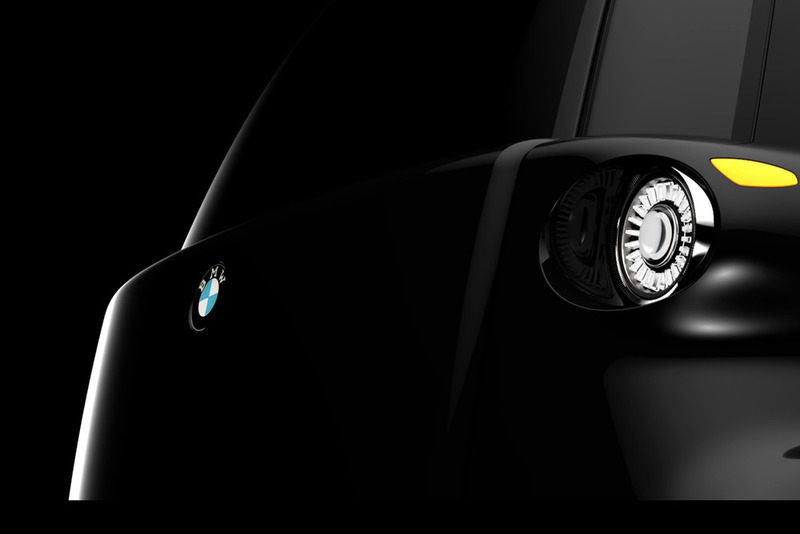 Originally found via Yanko Design. On the Cowdfunding site fundedbyme. Find out more on the Nobe website; mynobe.com. 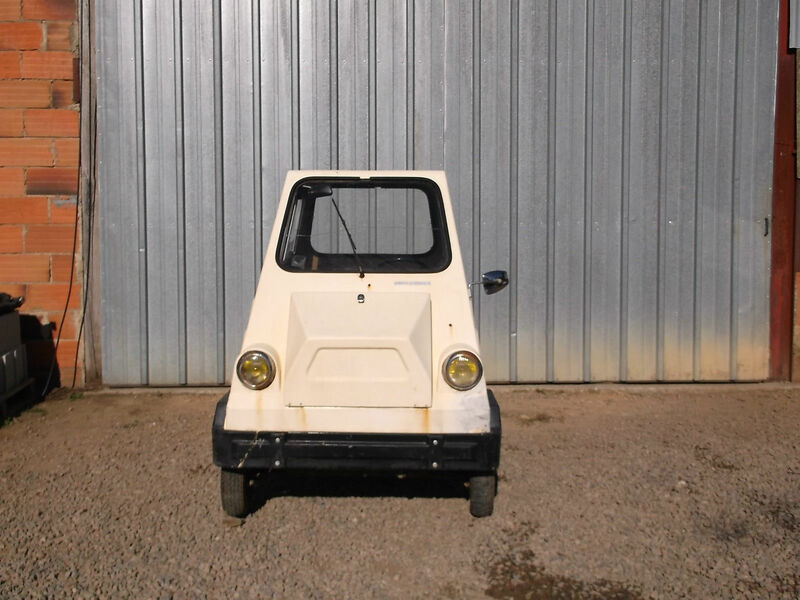 The world of the William Microcar is a peculiar one… I’ve written about these rare little microcars before, but never come across this variant – ‘The Snuggy’ before. Here, here, here and here. It looks like it takes some inspiration from that 70’s classic The Bond Bug, one of the most iconic little cars ever, and something I’ve also blogged about. I wouldn’t say the Snuggy is a design classic, but it’s got a certain charm, with a ‘lo-fi’ homemade, bargain parts bucket aesthetic about it. If it’s your cup of darjeeling, check it out on eBay here. Well, a Lambretta engine anyway. 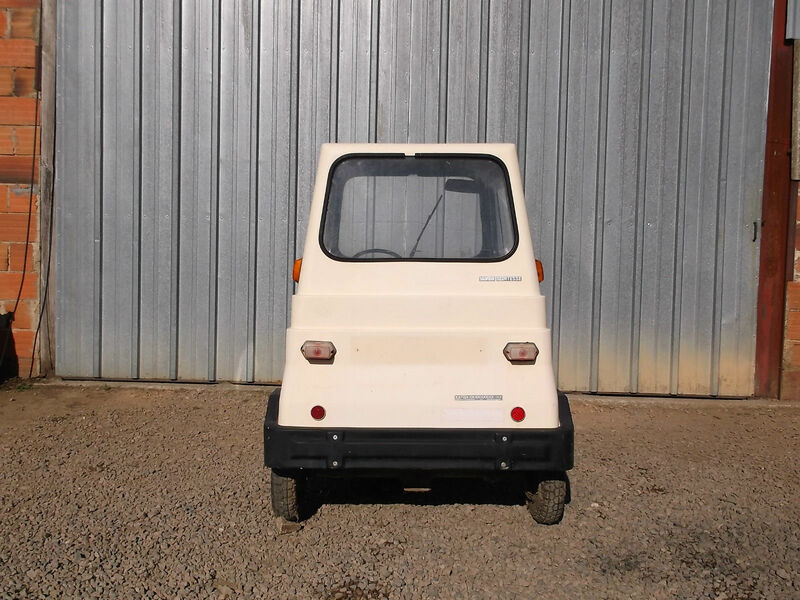 Regular readers might remember the rather odd French, Lambretta powered microcars from Willam… (if you don’t you can catch up here and here). Well, there’s one for sale on eBay. It’s about as back to basics motoring as you can get, although this variant the “Super Comtesse” has four wheels. Cheap as chips (at the moment) and perfect for the Lambretta completist… or someone that wants to travel very slowly and attract a lot of attention to themselves. Check it out on eBay, here. 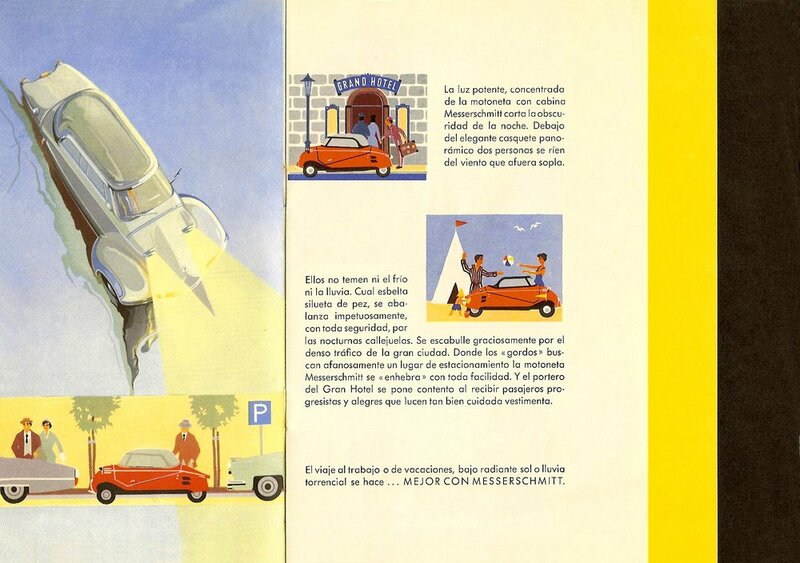 Originally posted on my old design blog… great bubble car brochure! 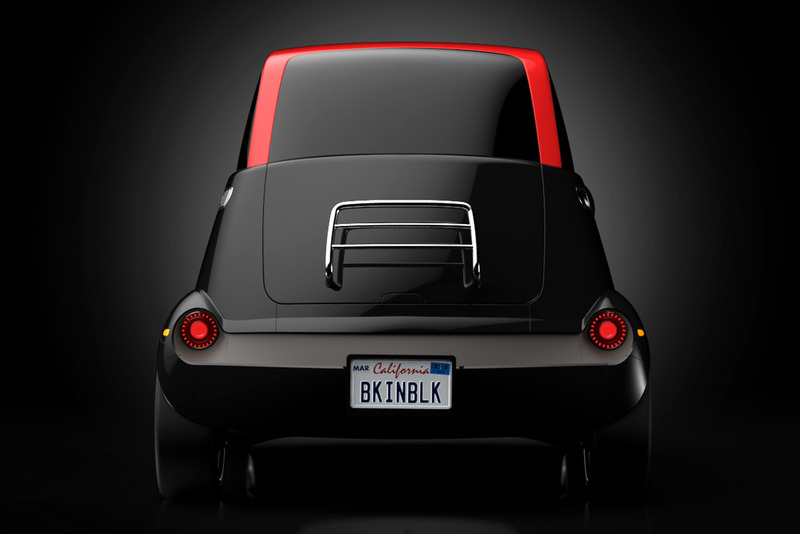 I like a microcar. I think, given the price of petrol at the moment, and the need to be more eco concious, it’s a bit mad that most people still drive around, alone in a vehicle designed to carry four or more people. I’ve posted about the Morgan Threewheeler and the Bond Bug, as well as The Smite before, a modern re-imaginging of the Messersmitt KR200. 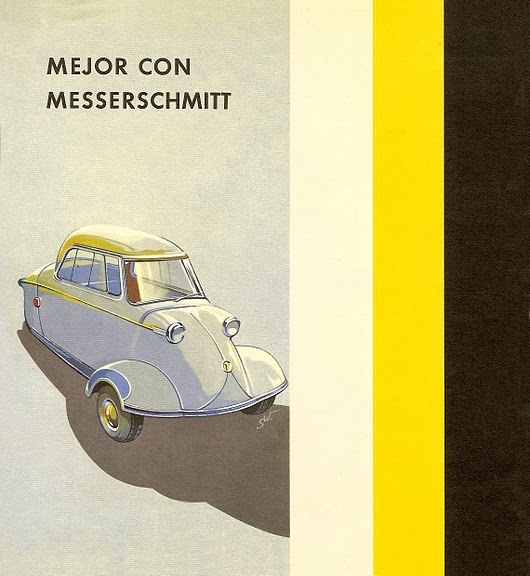 Well, here is a fantastic brochure I have found for the original Messerschmitt. I think it’s in Spanish, maybe if I get five minutes I’ll have a go with Google Translate and post some of the copy in English. In the meantime, enjoy the glorious period graphics. I know, I know, it’s been a while. 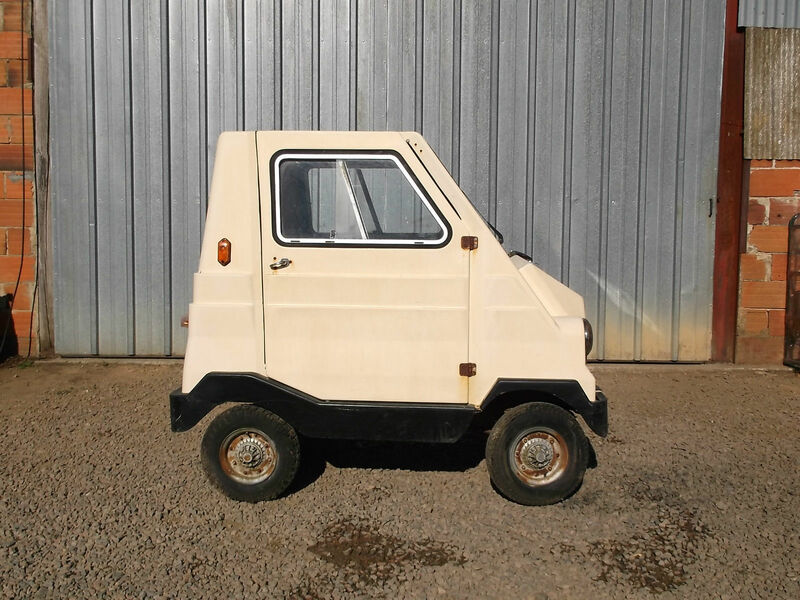 And back I come, not with a Lambretta post at all, but another microcar. What can I say, I love ’em. 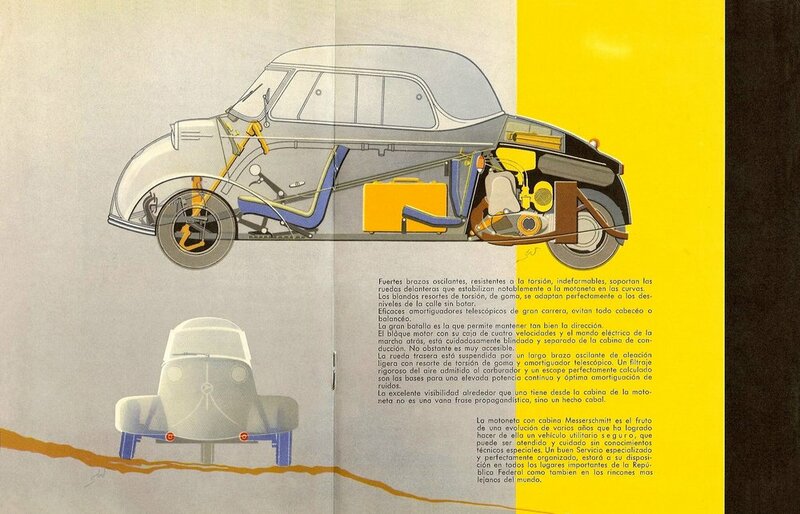 Messerschmitt’s and Isetta’s particualrly. 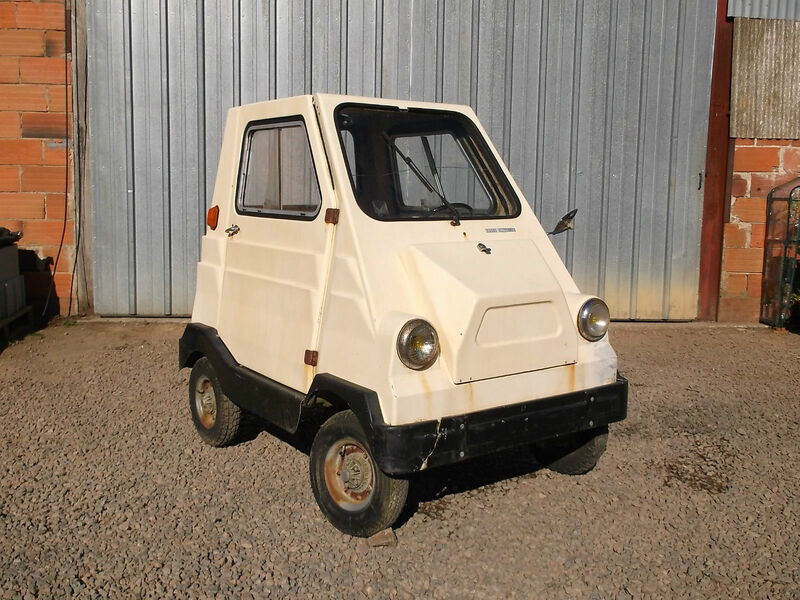 And like the Smite that I have written about previously, the concept I’m posting about today has obvious DNA of one of those originals, but this time the Isetta. Well, I certainly think he’s pulled off freindly… it’s got more than a hint of puppy dog about it… I’d almost expect a wagging tail!, and while I always prefered the 3 wheeled variant of the original Isetta, four works pretty good here, I can see that it uses the available cabin space better. Tiny wheels though! So, would I choose this (in the unlikely event of it ever going into production), or my pevious favoutrite, the Smite? A bit of an accademic question, as neither look like they’ll be on sale any time soon. But if they both were, lets just say it would be a close run thing. 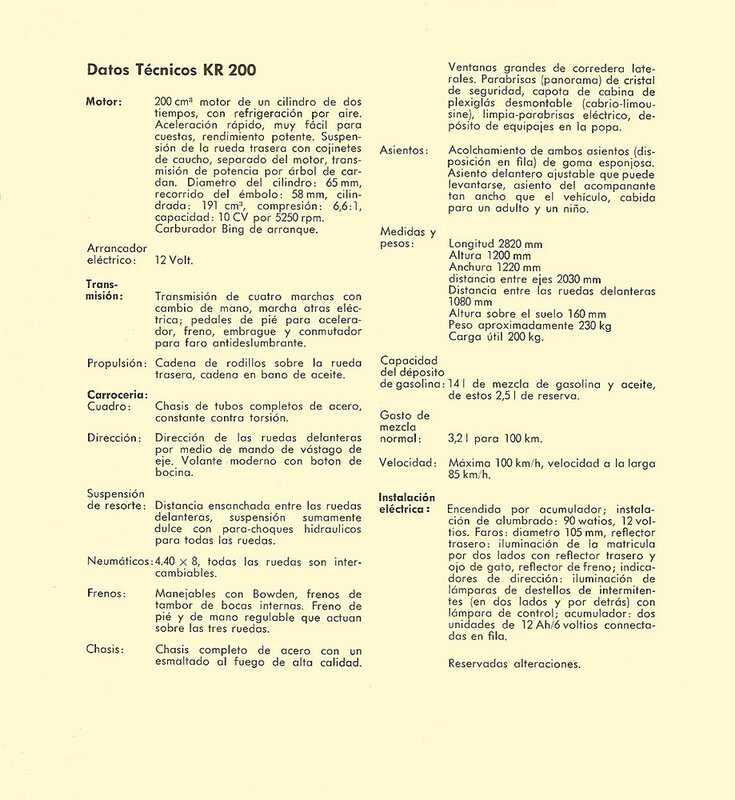 Tenuos Lambretta link? (apart from the “etta” suffix), this kind reminds me of the way the Fido electric scooter concept kinda looked like a model D, as I poster way back. Vintage film of a young guy riding his Lambretta TV175, Messerschmitt KR, and Honda 50 Sport.